Item # 316543 Stash Points: 3,195 (?) This is the number of points you get in The Zumiez Stash for purchasing this item. Stash points are redeemable for exclusive rewards only available to Zumiez Stash members. To redeem your points check out the rewards catalog on thestash.zumiez.com. 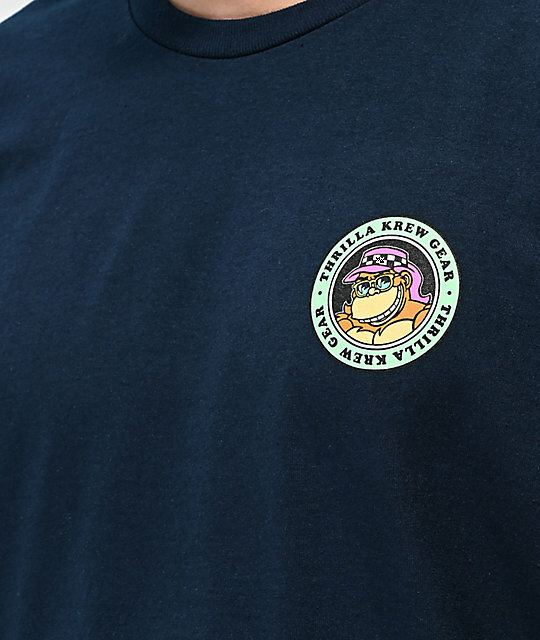 Join the squad and grab the new Thrilla Krew Party Bus Navy T-Shirt. 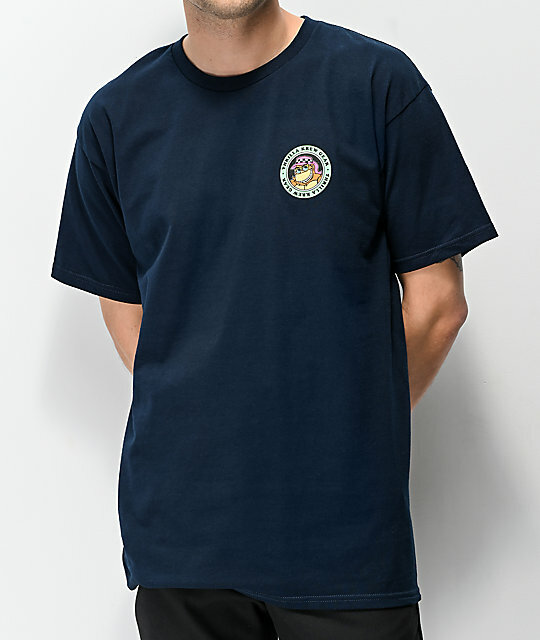 Made from a classic cotton construction, this soft garment offers a solid fit that comes complete with a large screen-printed graphic on the back of the entire Thrilla Krew gang packed in a VW Bus. 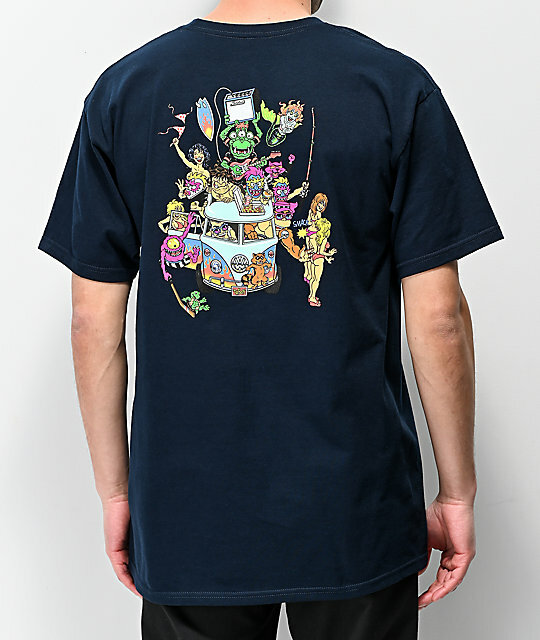 Party Bus T-Shirt from Thrilla Krew. Screen-printed logo graphics on left chest and large graphic on back.